Welcome to our learning at home page. You will find lots of great games and activities here that can help you learn at home, whilst having fun! Scroll down to find some great apps for learning for families with iPads and iPhones Recommended apps for Android coming soon. Have you ever read a story online? Why not play some games or read a book with Oxford Owl? Or play games with Floppy, Biff, Kipper and Chip. Class 2 children have a virtual learning environment, but of course it's not just for class 2. They love to share! There are lots of great learning games and activities on the blog that their friends in other classes will enjoy too. You can find some of the games below on the blog. Click on the pictures to play. Can you pay for things with the right coins here? Why not have a game of money snap too? Or splat the hand! It’s fun! If you are good at money maths, have a go at giving change here or go to the igloo shop! For a real challenge, shop ’til you drop! If you like all of those, you might like the ones here too, though they do have 'for evaluation only' splattered across the games. Play some of these games and learn how to be safe and be seen! There are a number of great apps for learning available now, so we have just added a few high quality ones that will help learning at home. Primary Games have made some great apps to enhance mental maths skills, including eggs on legs, multiple wipeout, ghost blasters and airport arithmetic. They are fast and fun and will really help children (and adults!) of all ages brush up on their skills. Find some more quality maths apps here. 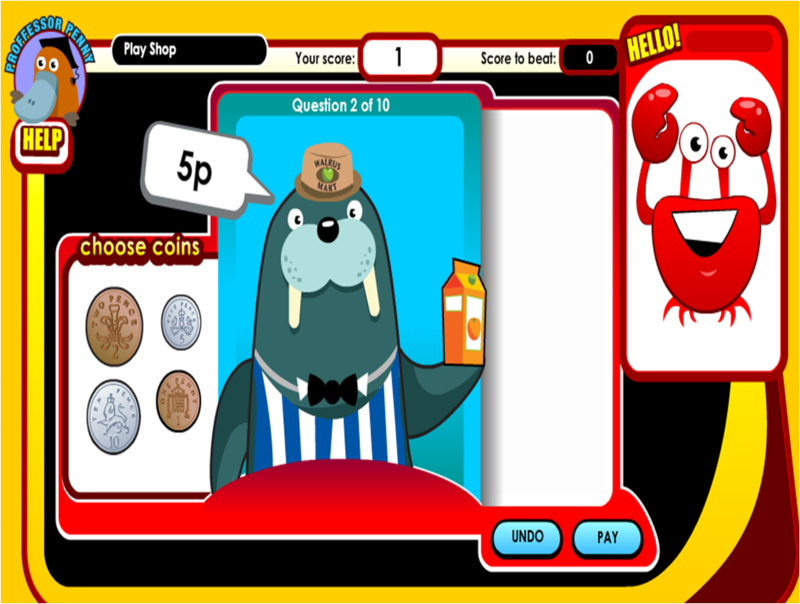 Brush up on your mental maths skills by playing some of these great maths games on the Maths Wizards blog. Alternatively, click on the pictures below and find some great games to play. Can you beat the alien invaders by shooting the sum that makes the total on your laser? It's fast and fun! Go to the Maths Wizards blog to play more fun games like these! Can you tell the time? These great games will help you learn. Have a go at this one first of all. After that you could try this game here for half past, quarter to and quarter past. Have fun! If you’ve played all of those games and enjoyed them, whizz off to topicbox for some more! Are you having fun with your learning? Would you like to learn how to touch type or become more speedy when writing things on the computer? You can improve your skills by playing dance mat typing! It is good fun! Nosy Crow have made some great interactive stories for our younger readers. Collins Big Cat have generously provided 8 free apps that allow you to read, listen to and create your own stories. They are great! You can find some more stories here, but don't forget there are numerous books available when you download the kindle app.